The General Staff Operations Bureau [GSOB], which is also called the General Staff Operations Department, directs all military operations, operations planning and general management of the Korean People’s Army’s [KPA] conventional service branches and reserve forces. It is the primary organization responsible for implementing the DPRK’s practice of joint ware and establishing the unitary command of the Suryo’ng. The GSOB issues orders and guidance to departments, bureaus and commands subordinate to the KPA General Staff Department, including the DPRK’s ground forces (infantry, light infantry, armored, mechanized and tank units), naval [KPA Navy/Korean People’s Navy] and air/anti-air [KPA Air and Anti-Force/Korean People’s Air Force) commands. The GSOB has approximately ten (10) subordinate sections or departments. The GSOB’s Third Department directs operations and planning for the KPA’s four (4) forward deployed ground corps (I, II, IV and V Corps). The GSOB’s Fourth Department directs operations and planning of the other infantry corps (III, VII, VIII, IX and X Corps), four mechanized corps (425th Mechanized Corps, 815th Mechanized Corps, 806th Mechanized Corps and the 108th Mechanized Corps) and the two armored corps (the 105th Armored Corps and the 820th Armored Corps). The Fourth Department also links with the KPA Artillery Command to coordinate planning, operations and training of the 620th Artillery Corps and links with the Guard Command to coordinate the planning, operations and training of the Pyongyang Defense Command (also known as the 91st Metropolitan Corps). The Sixth Department is responsible for the planning and operations of the KPA Navy. The Seventh Department directs the operations and planning of the KPA Air and Anti-Air Forces, which includes not only the DPRK’s air force, but also includes most anti-aircraft artillery units and some electronic warfare assets. The GSOB’s 5th Department is responsible for the operations of the KPA’s special operations forces [SOF] and light infantry who comprise the XI Corps, or Storm Corps. The GSOB’s 8th Department is responsible for KPA divisions, brigades and other units subordinate which are subordinate to the KPA General Staff’s other service or support bureaus such as the KPA General Staff Communications Bureau (the 8th Department, for example, is responsible for KPA Unit #540, communications and signals brigades) or the KPA General Staff Engineering Bureau (the department is responsible for the 125th Combat Engineering Brigade). The GSOB’s 9th Department directs all military exercises and drills at the corps and division levels. It also conducts field inspections of military units. The 9th Department also coordinates the training activities, plans and mobilization of the Worker-Peasant Red Guard, the Young Red Guard and the Reserve Military Units. The GSOB’s 10th Department is also called the GSOB Information Department and is responsible for military and defense issues at the KPA Mission to P’anmunjo’m and with the Military Armistice Commission. The core of the KPA General Staff Operations Bureau are the First and Second Departments. The First Department is the GSOB’s Administrative Affairs Department and is responsible for the GSOB’s bureaucratic housekeeping and the office of the GSOB Director. 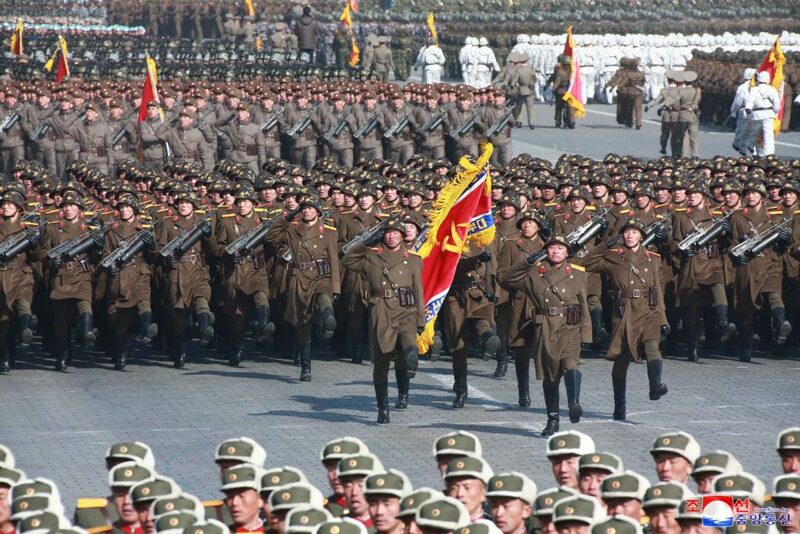 The Second Department formulates, drafts and revises the DPRK’s military plans and operations. It contains elements (and might even double as) the staff of the KPA Supreme Command. The Second Department conveys Kim Jong Un’s instructions, communications and authorizations on all military planning and operations. 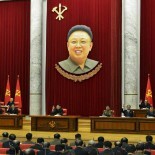 To that effect it provides a formal mechanism through which Jong Un interacts directly with the KPA’s field commanders. KPA Unit #915 is the external-use organizational name for the GSOB’s Second Department. The director (commander) of the General Staff Operations Bureau (Department) is technically subordinate to the Chief of the KPA General Staff Department and ex aequo 1st Vice Chief of the GSD. The director reports directly to the Supreme Commander. During war time, contingency or “national crisis,” Kim Jong Un bypasses the KPA’s formal chain of command via the Chief of the KPA General Staff. Through a mechanism called “single guidance,” in his capacity as KPA Supreme Commander, Jong Un would interact directly the KPA’s corps and division commanders to issue orders. The GSOB Director is formally subordinate to the Chief of the KPA General Staff, who are formally subordinate to the joint command and control of the Workers’ Party of Korea [WPK] Central Military Commission [CMC] and the DPRK State Affairs Commission. The DPRK’s practice of unitary command and control derives from the position of KPA Supreme Commander who concurrently serves (according to the DPRK Constitution) as Chairman of the State Affairs Commission (the government, or state) and (according to the WPK Charter) as Chairman of the Central Military Commission (the party). The incumbent GSOB Director assumes precedence in the protocol of KPA general-grade officers and even among senior WPK and DPRK Government officials. During the DPRK’s military parades, the GSOB Director stands beside the Suryo’ng and briefs him about the military units and equipment as it processes. KPA officers who hold a superior rank to the incumbent GSOB Director must salute and defer to him even if he holds a lower military rank. The KPA General Staff Operations Bureau, as itemized above, links with all of the KPA’s conventional service branches and special operations forces. It also links with the Military Mobilization Bureau to which it issues manpower orders and needs. The GSOB issues orders to the KPA’s regional “district commands [zones]” which are mobilized during war or national emergencies to coordinate regular military units, civil defense forces, reserve units and paramilitary units in their respective administrative [geographic] division. The GSOB coordinates reserve unit training schedules, plans and activities [Worker-Peasant Red Guard, Young Red Guard, Reserve Military Training Units] with the WPK Military Affairs Department [MAD], the WPK Civil Defense Department and the Ministry of People’s Security [MPS] which are responsible for the reserve units and civil defense exercises. The GSOB links with the Guard Command and MPS to coordinate security planning around Pyongyang, particularly as it pertains to the Pyongyang Defense Command and III Army Corps. General Ri Yong Gil [Ri Yo’ng-kil] is the current Director of the KPA General Staff Operations Bureau, having been appointed in May 2016. He is also an alternate (candidate) member of the WPK Political Bureau and member of the WPK Central Military Commission. Gen. Ri previously held the position from late 2012 until late 2013, at which time he was appointed to the position of Chief of the KPA General Staff. Directors of the KPA General Staff Operations Bureau all have prior experience as corps commanders or command staff in the KPA’s corps- and division-level units. Most of the prior heads of the GSOB received their professional military education in combined arms. One further interesting point; the two Minister of People’s Security under Kim Jong Un are former GSOB Directors.